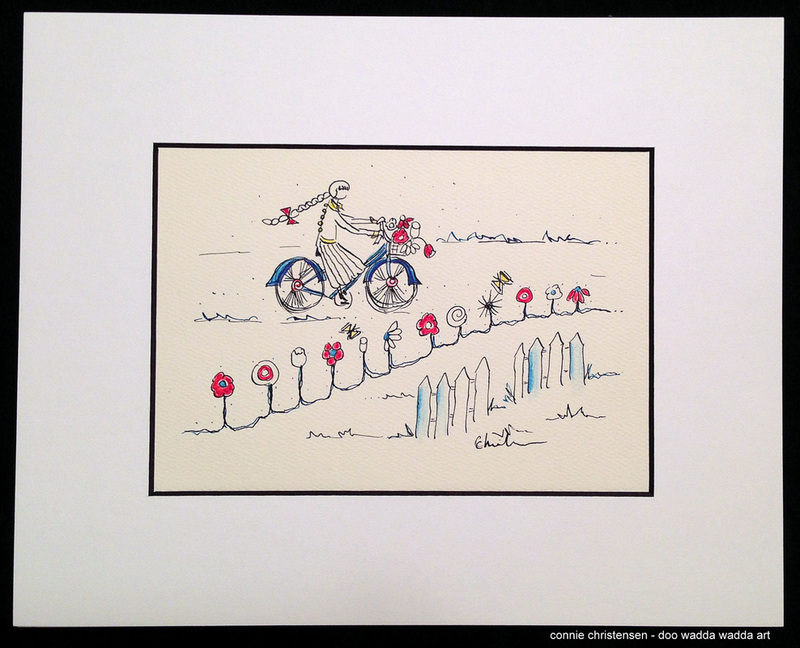 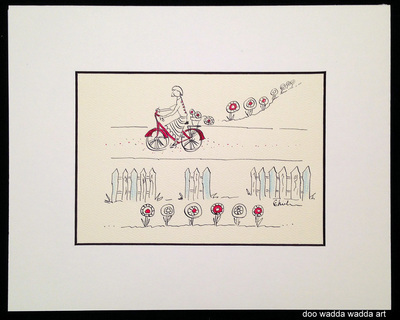 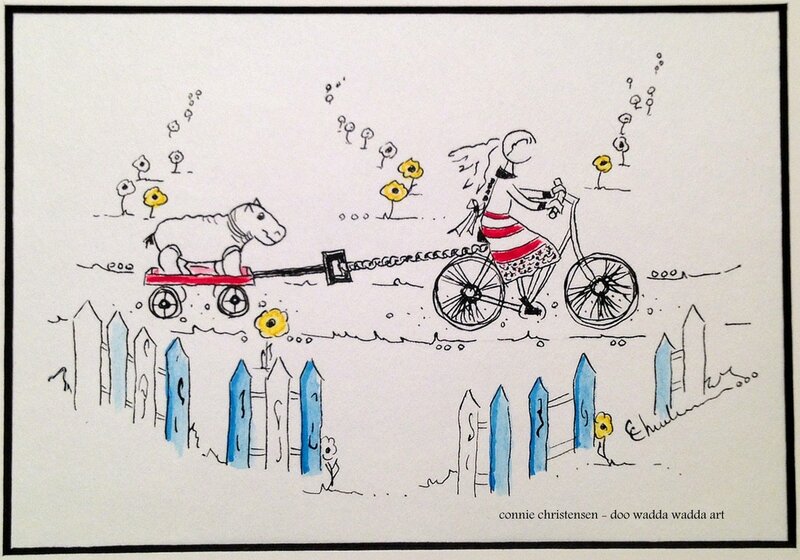 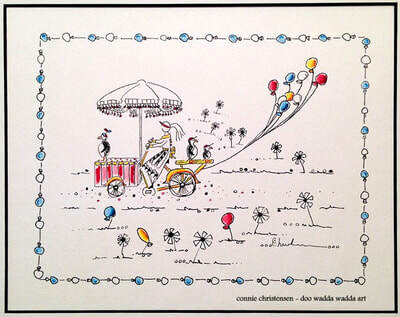 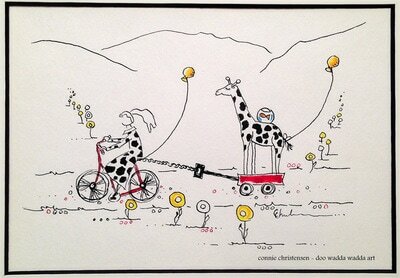 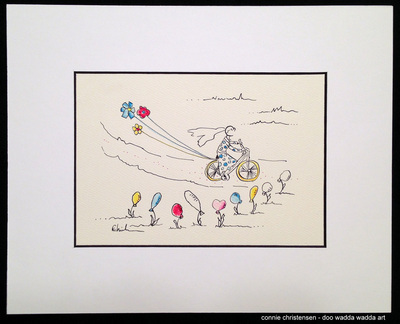 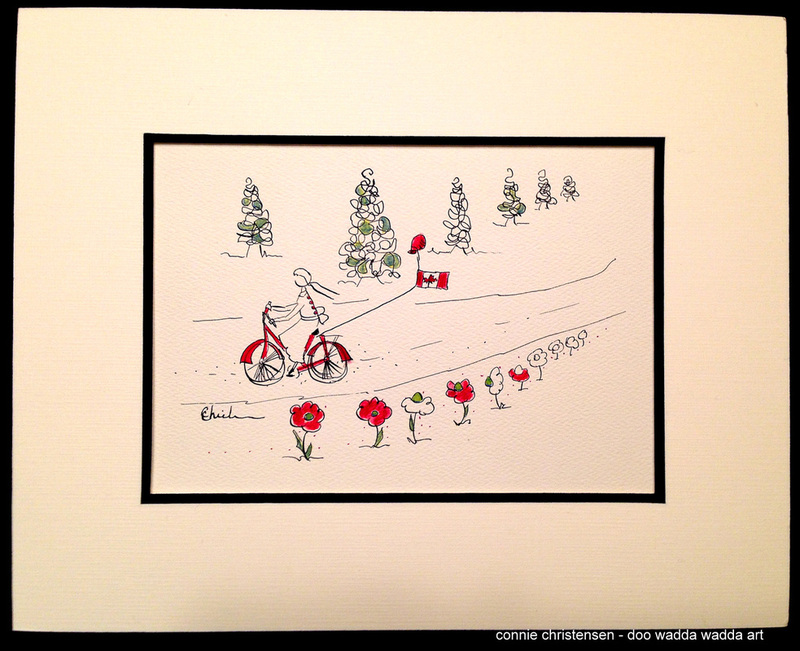 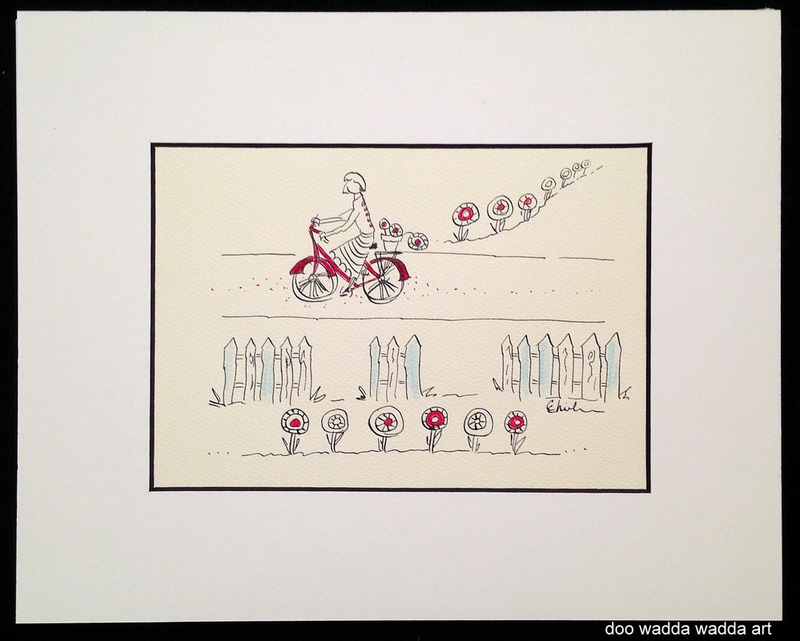 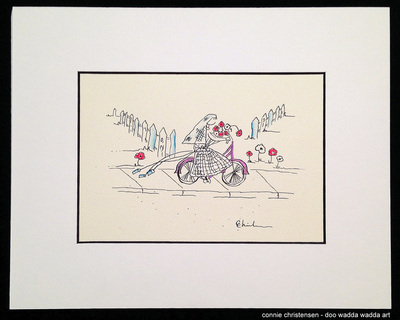 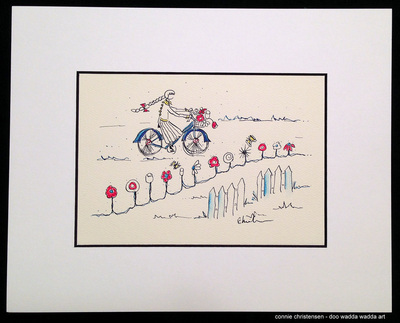 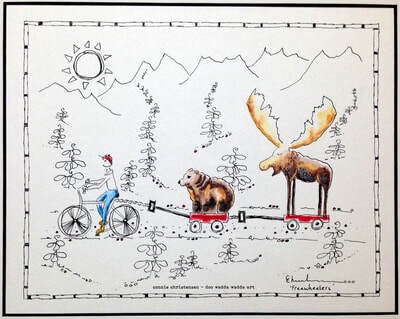 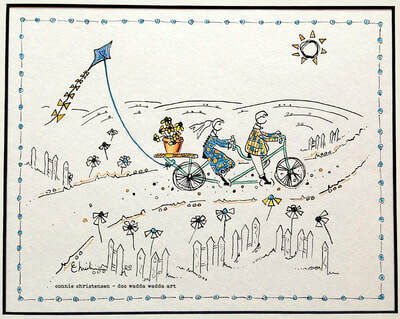 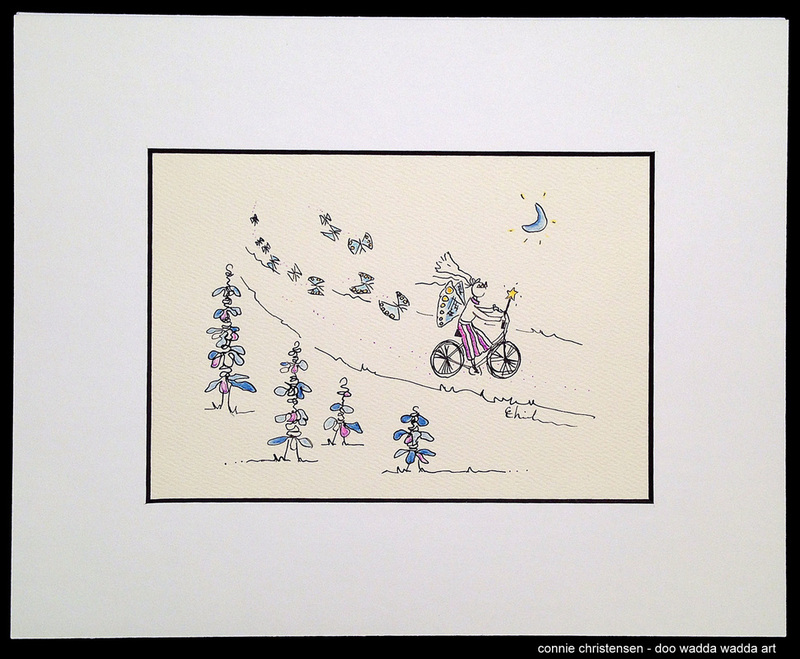 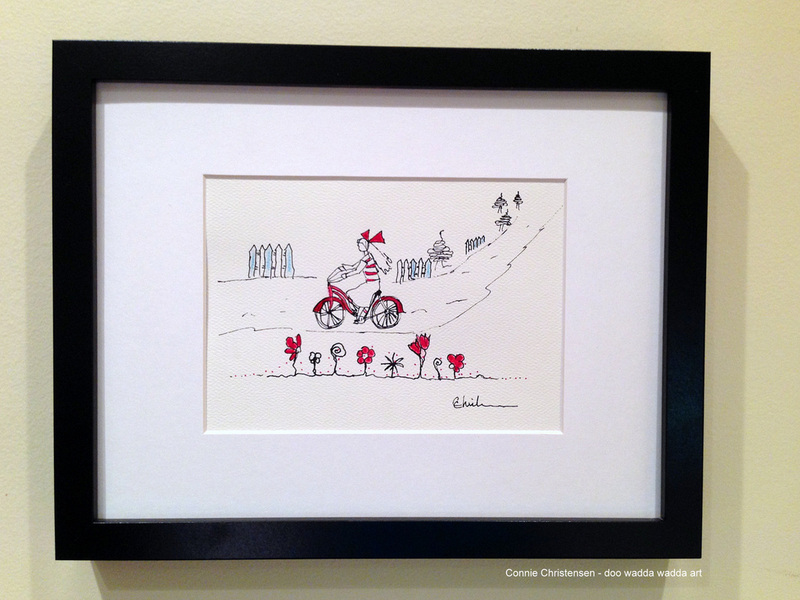 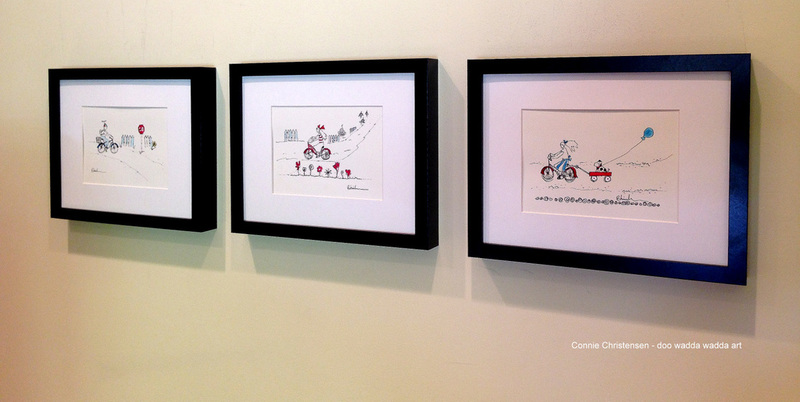 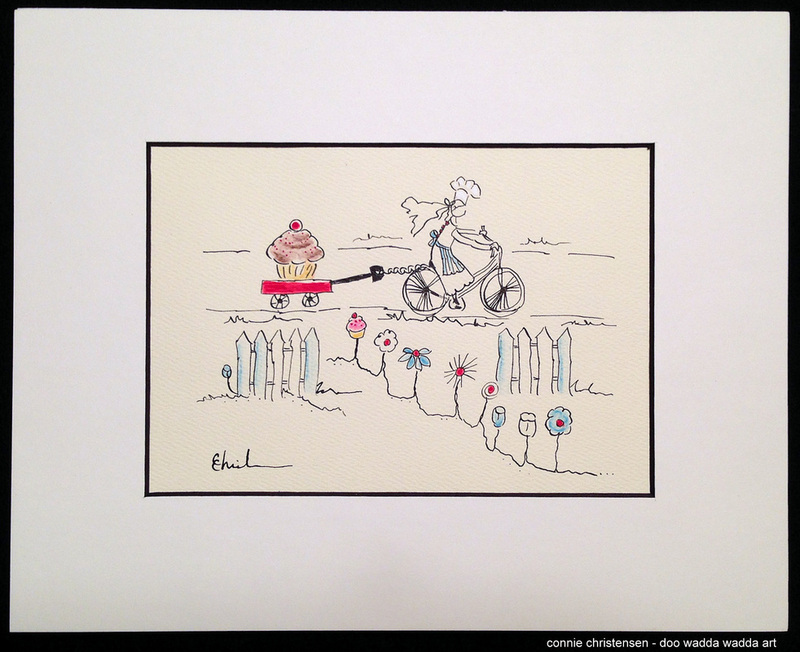 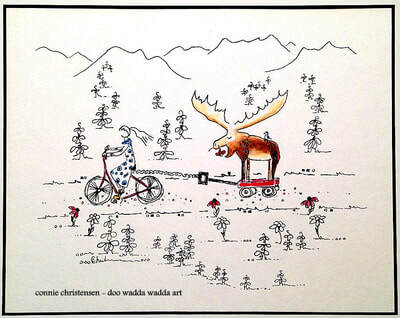 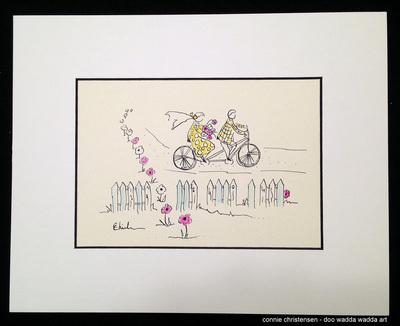 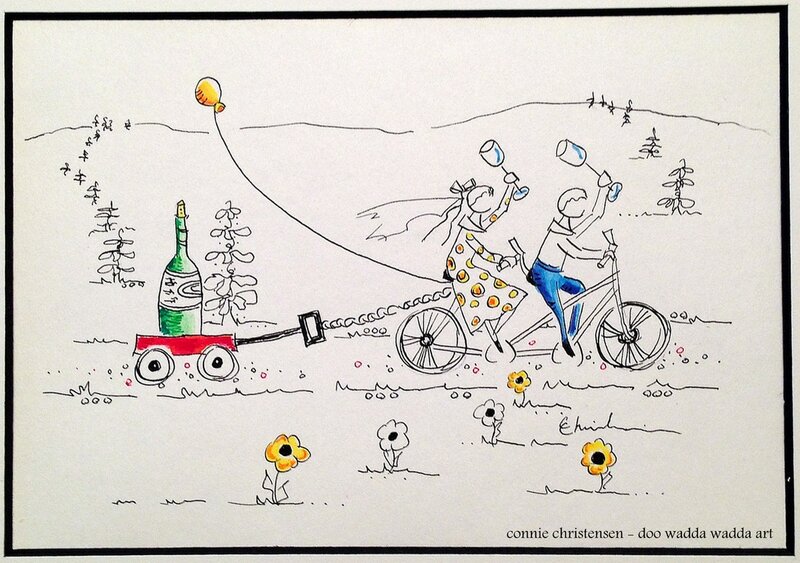 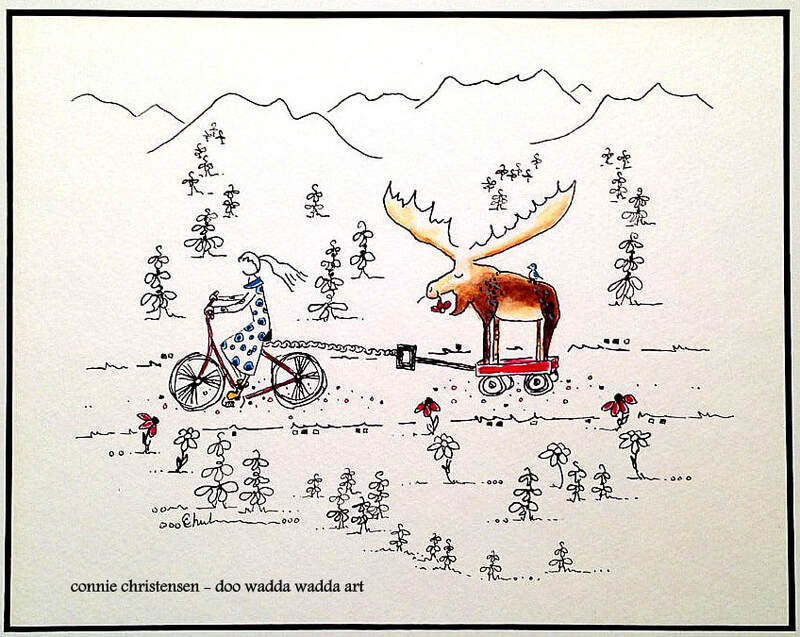 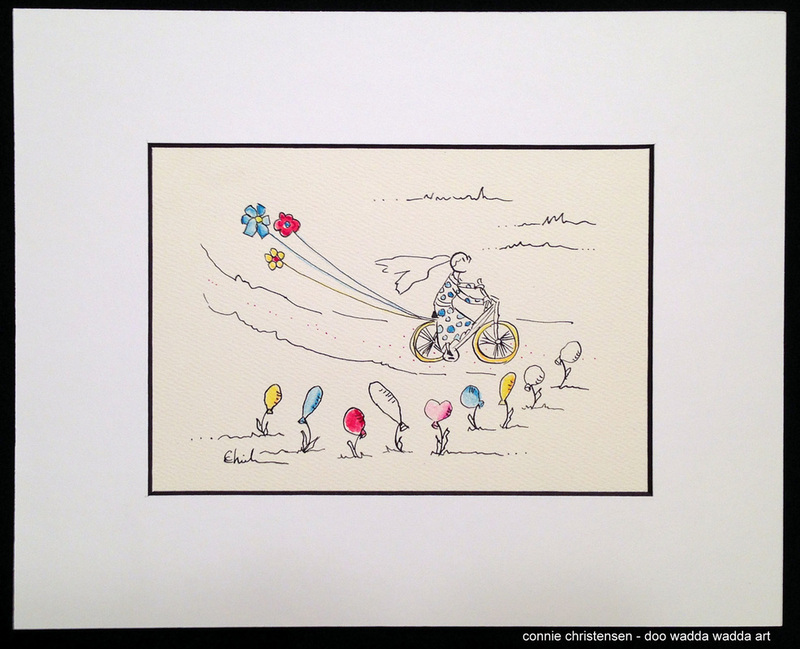 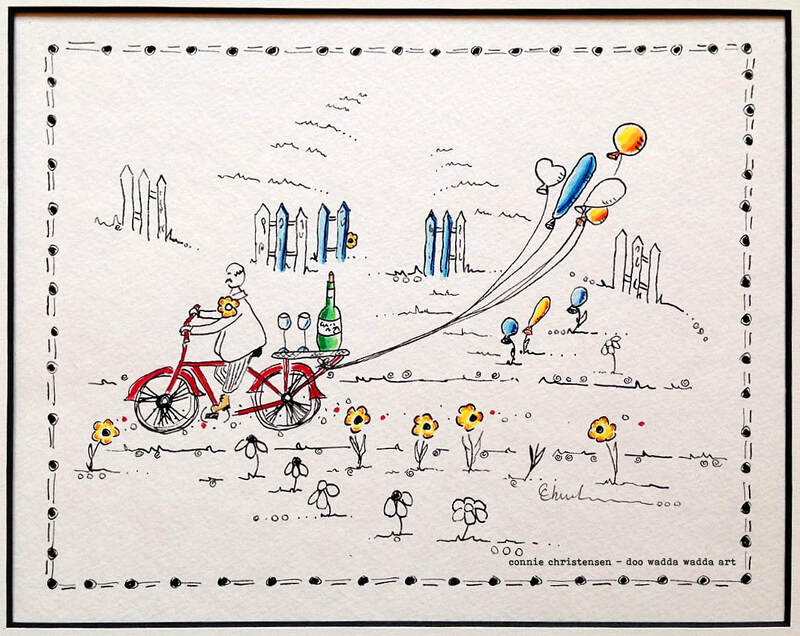 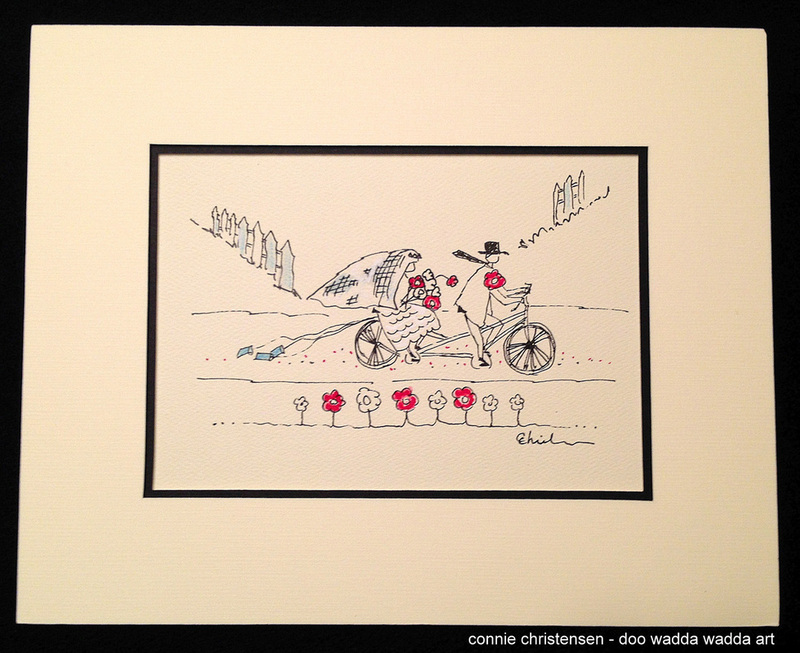 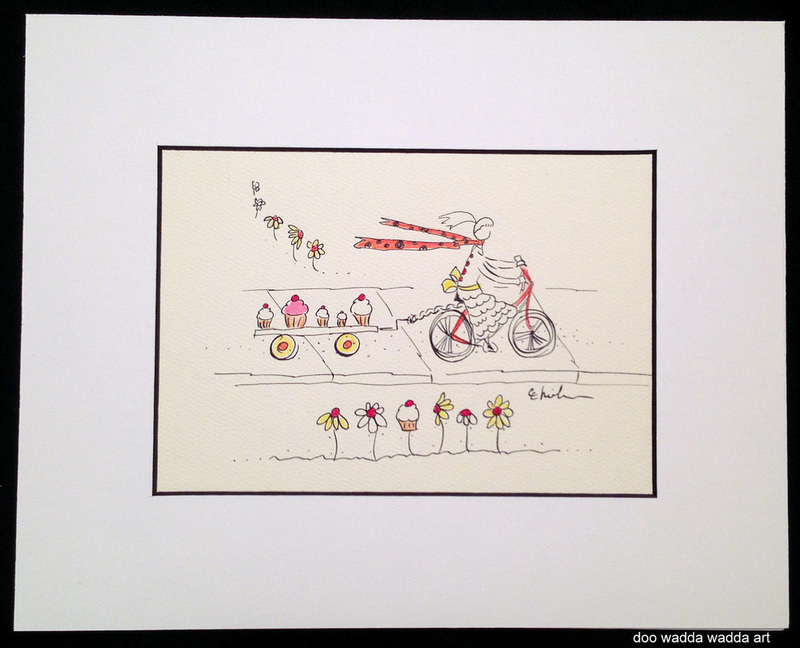 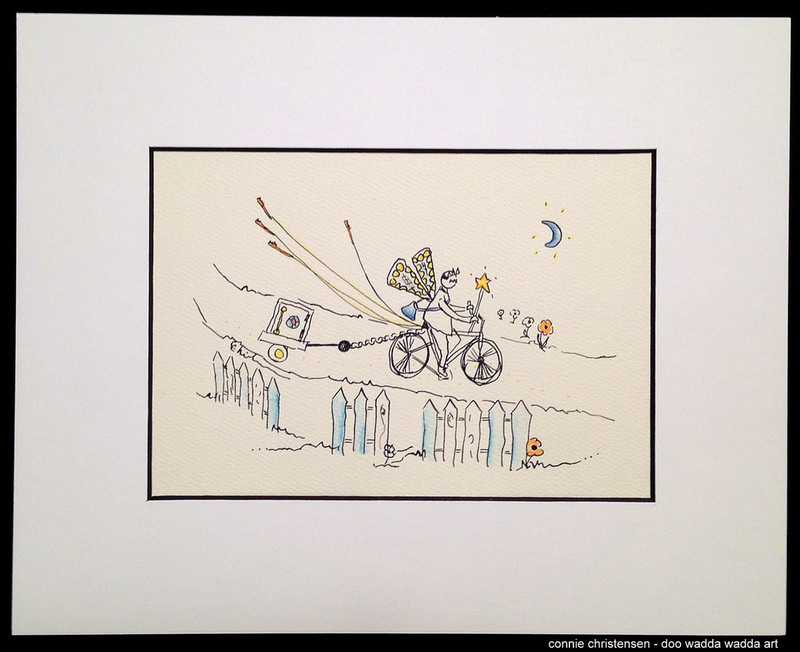 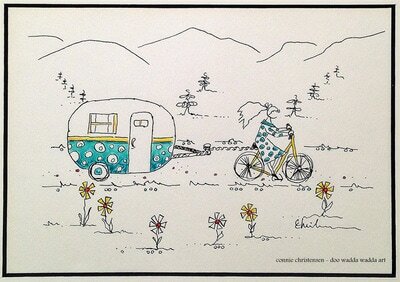 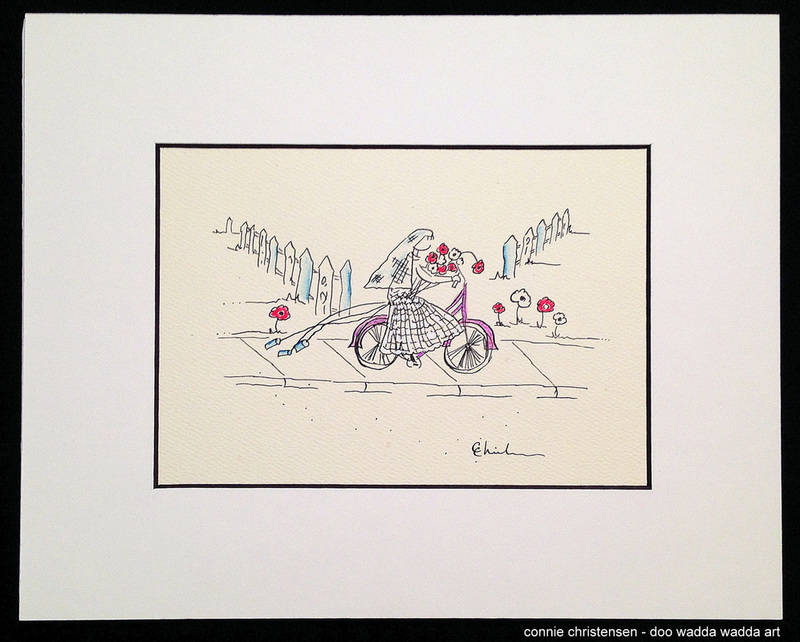 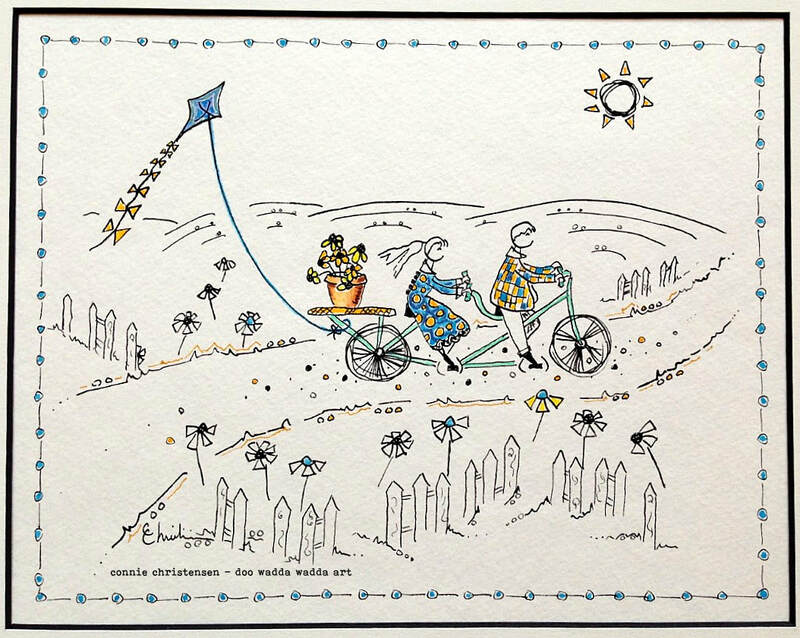 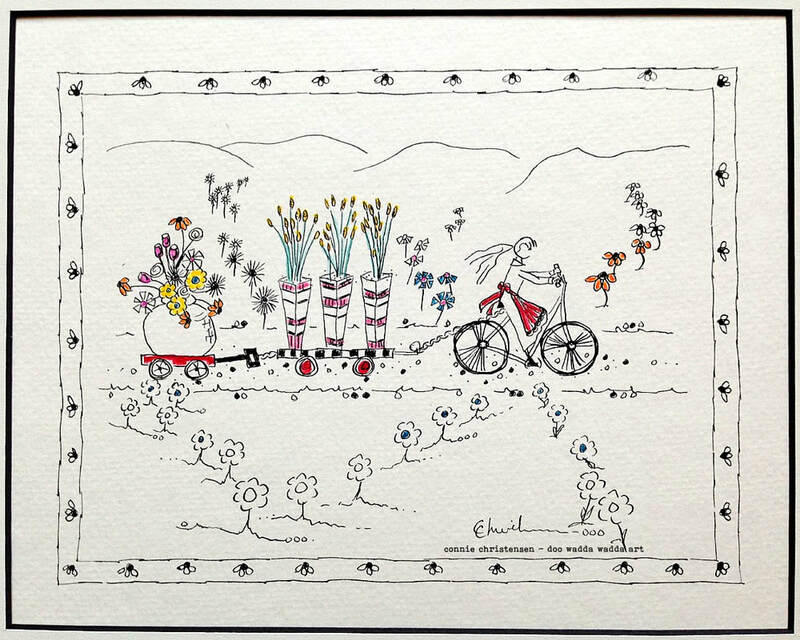 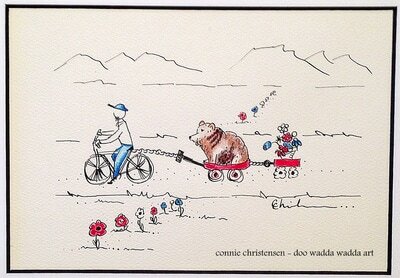 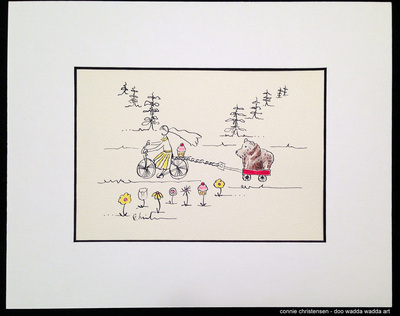 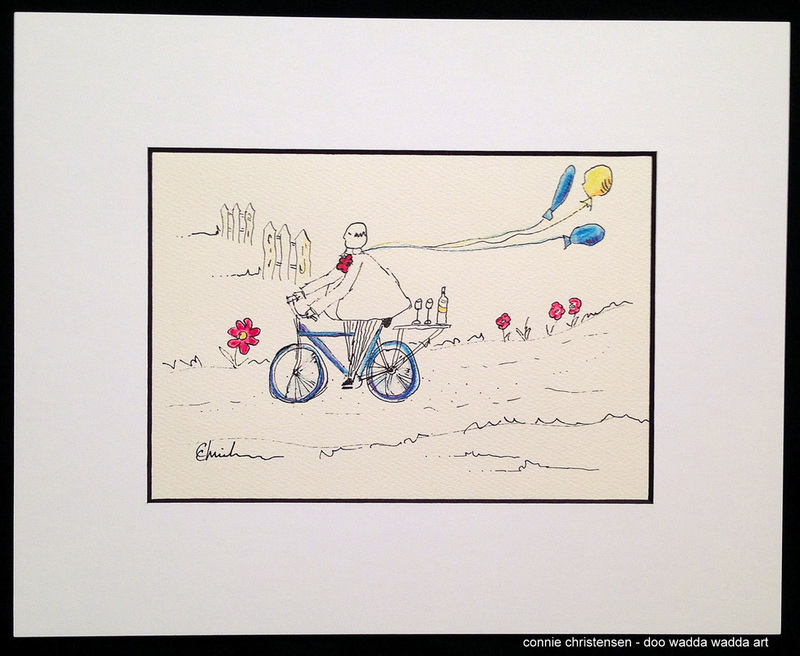 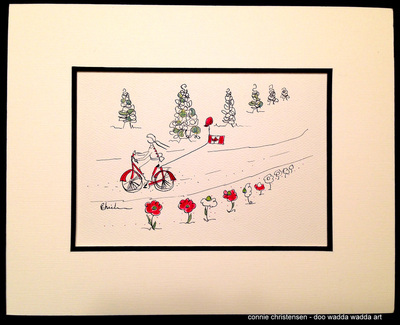 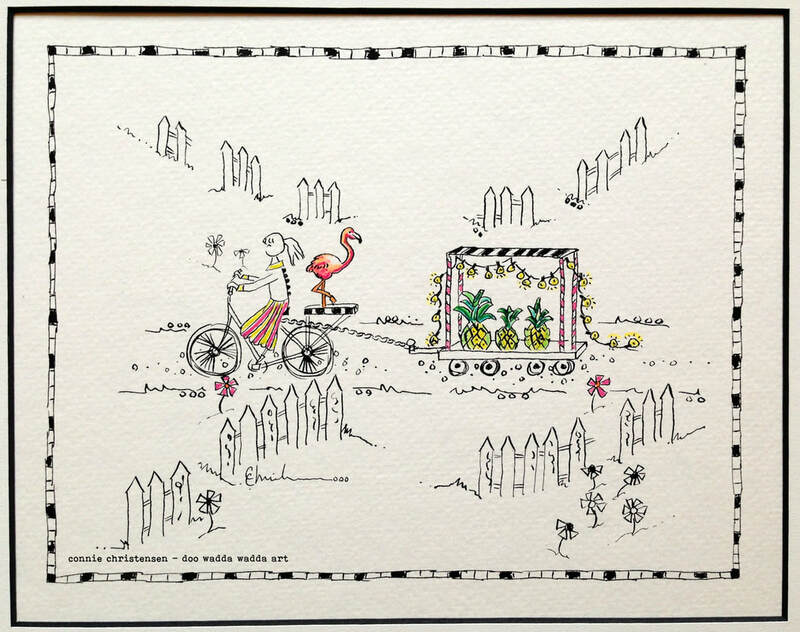 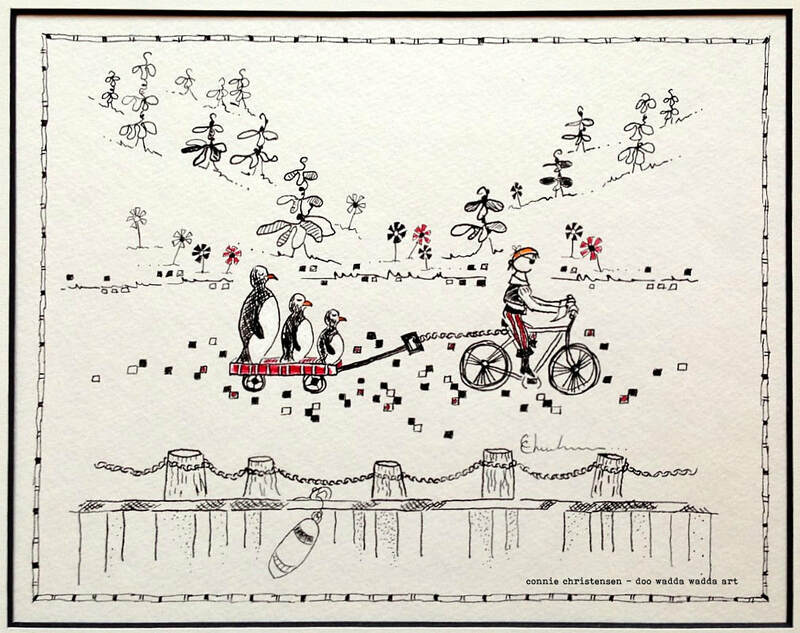 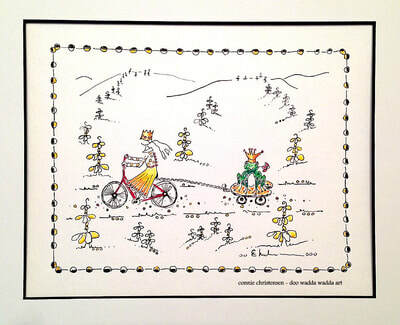 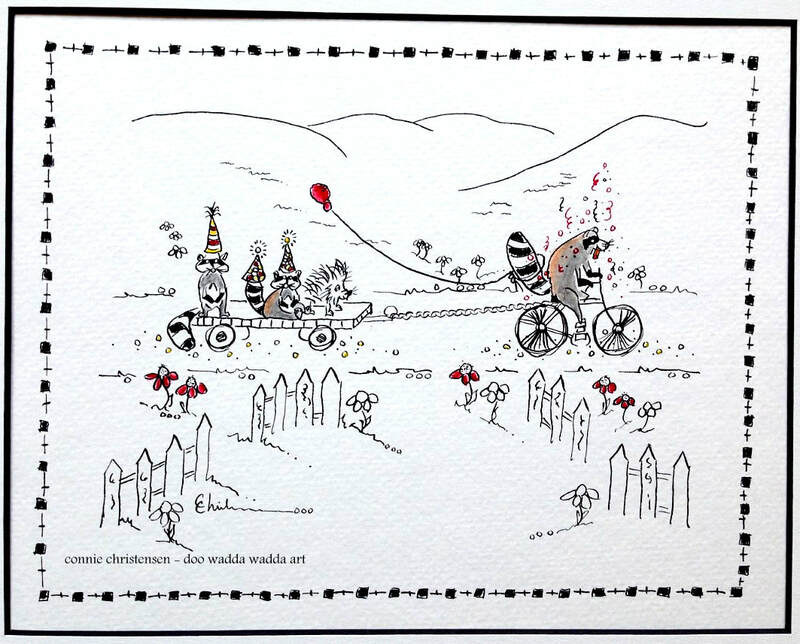 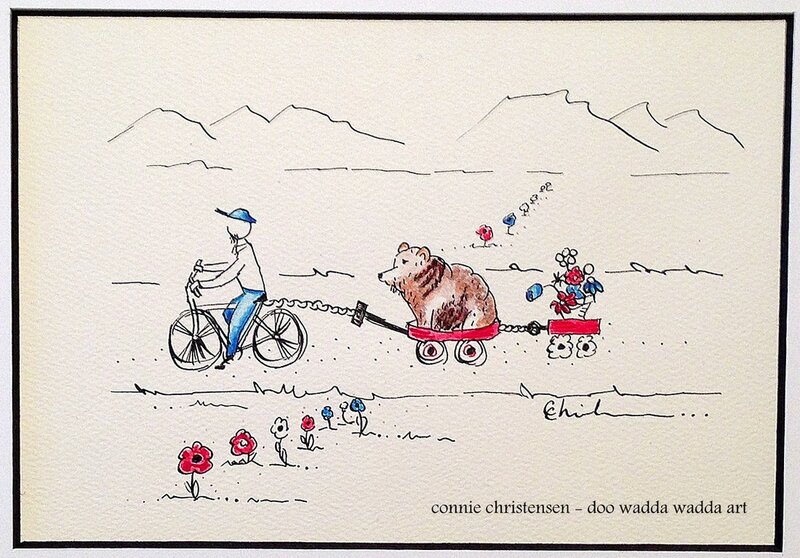 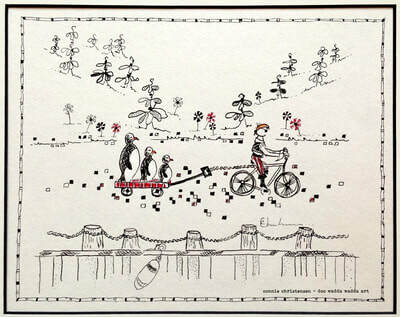 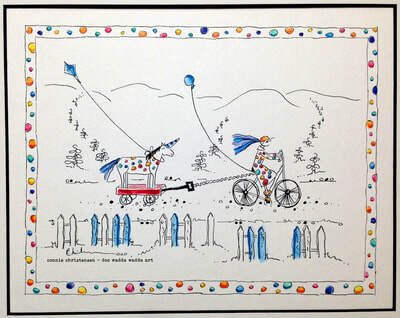 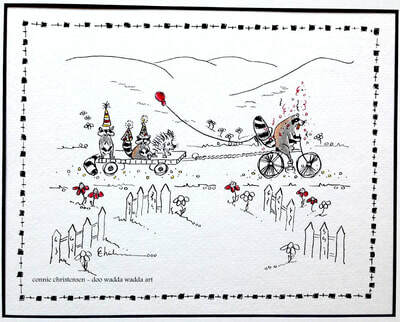 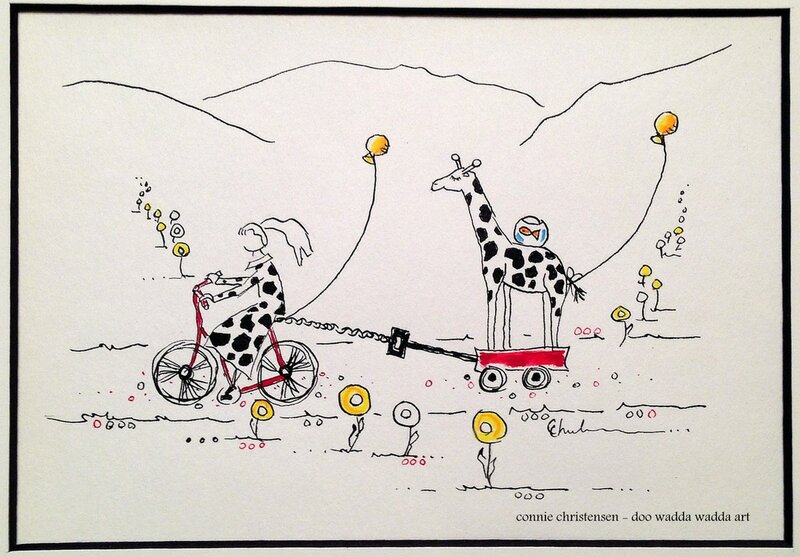 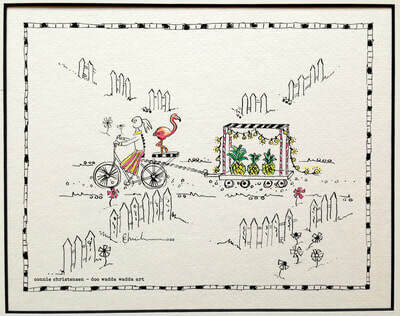 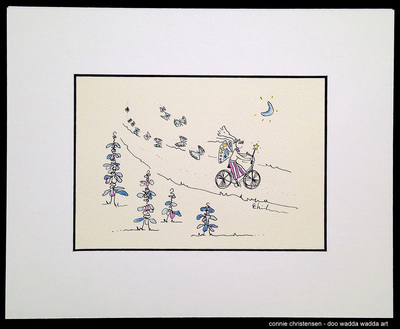 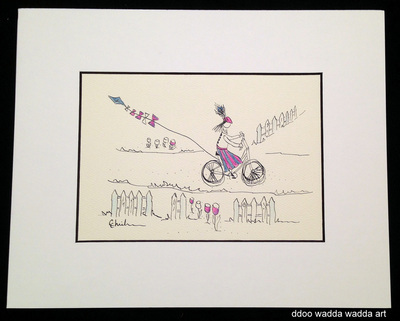 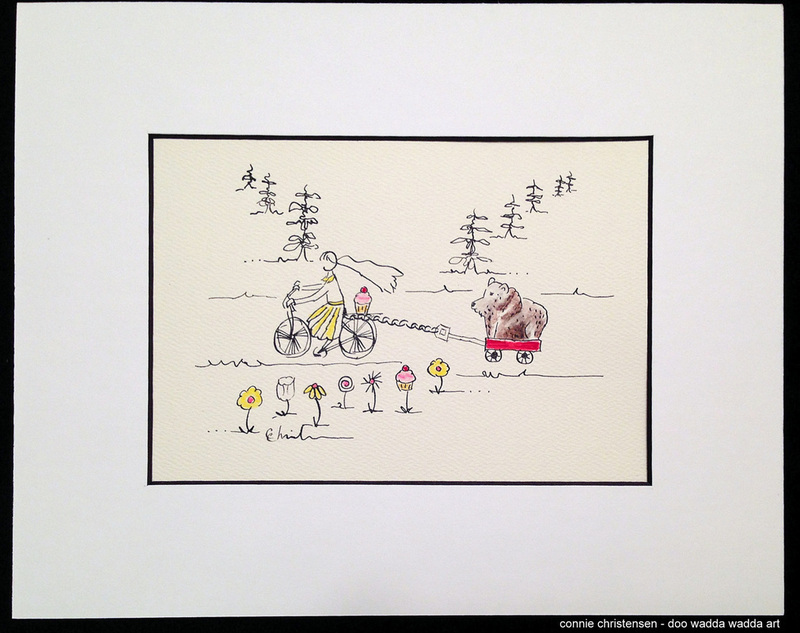 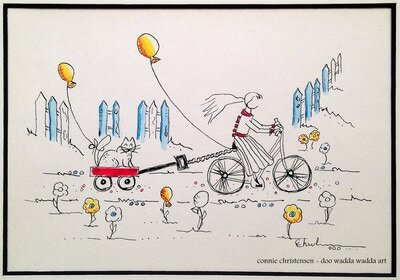 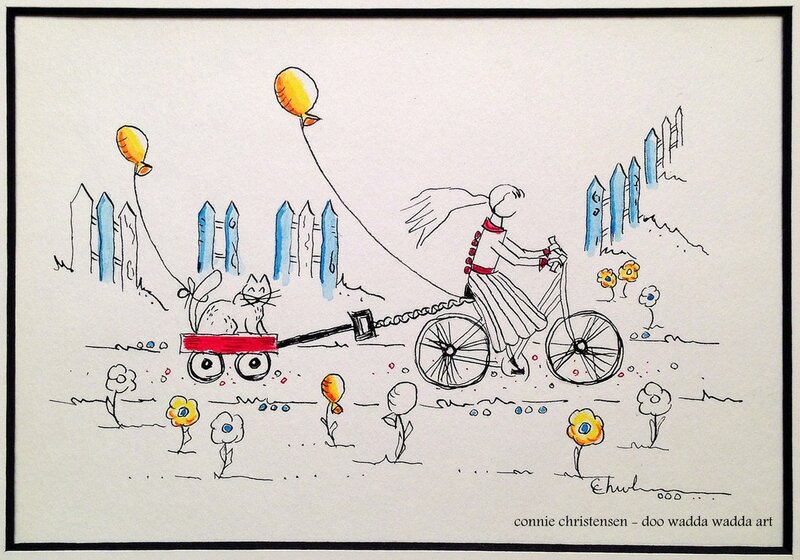 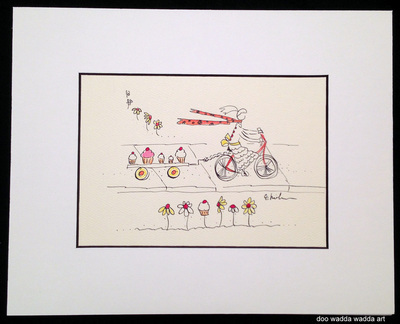 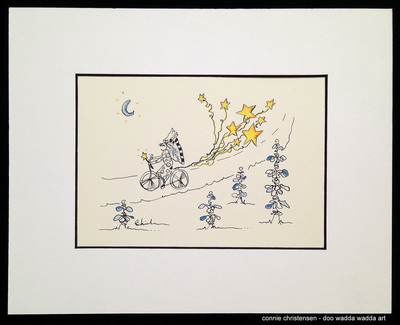 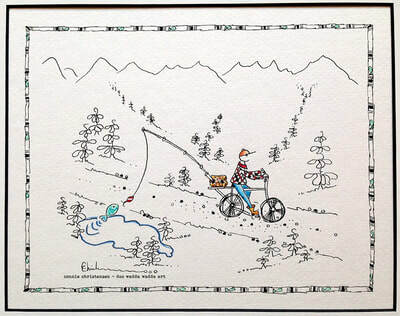 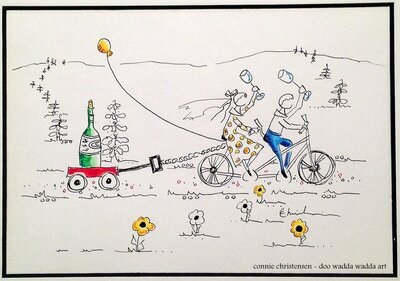 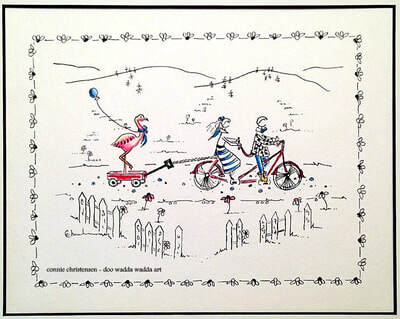 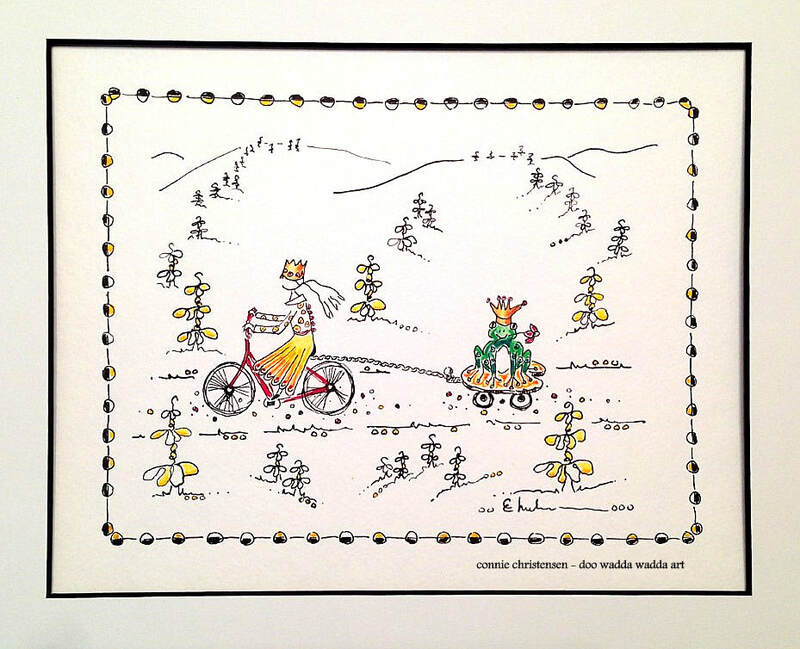 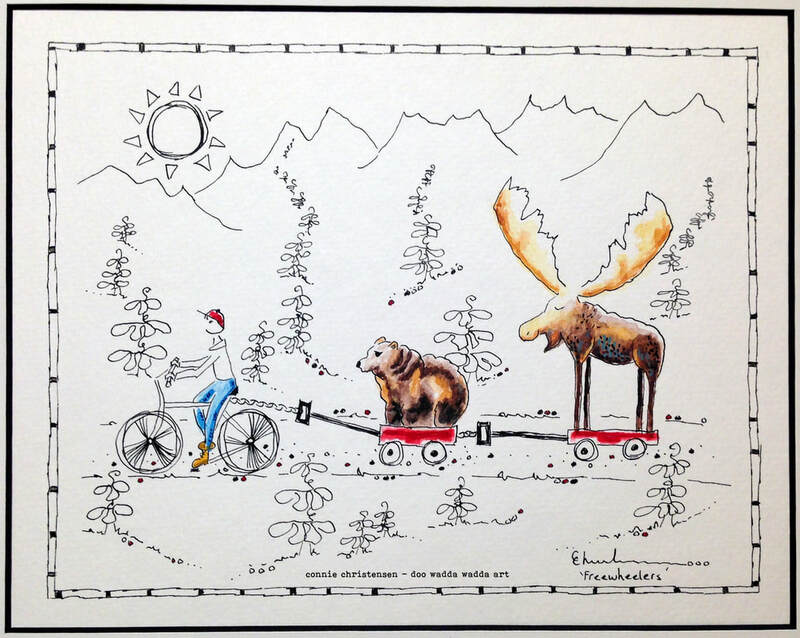 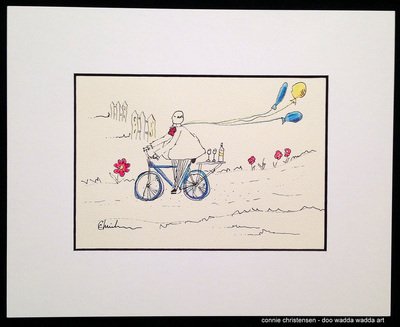 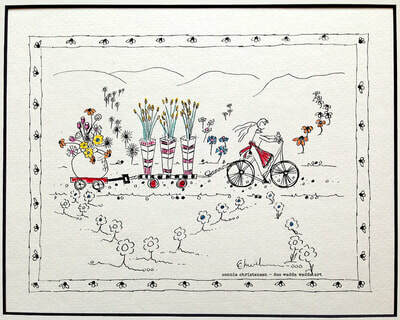 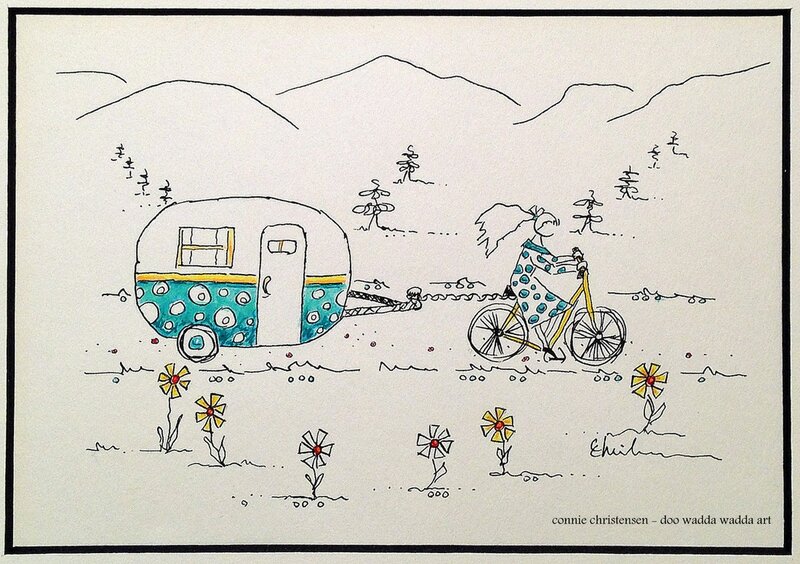 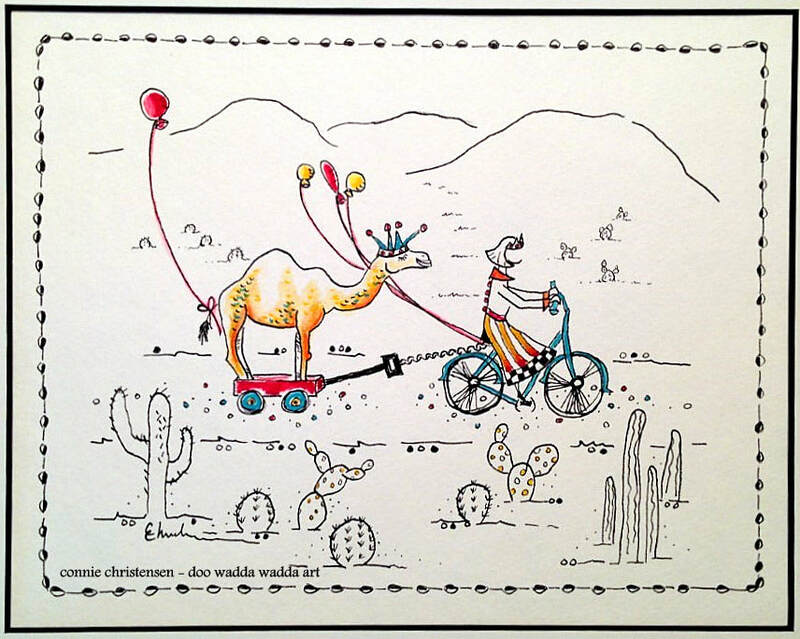 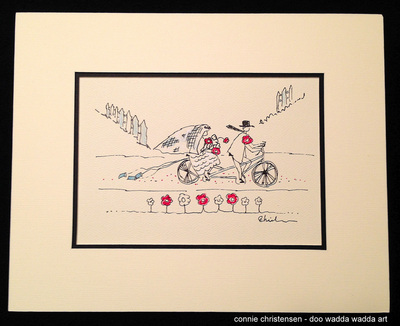 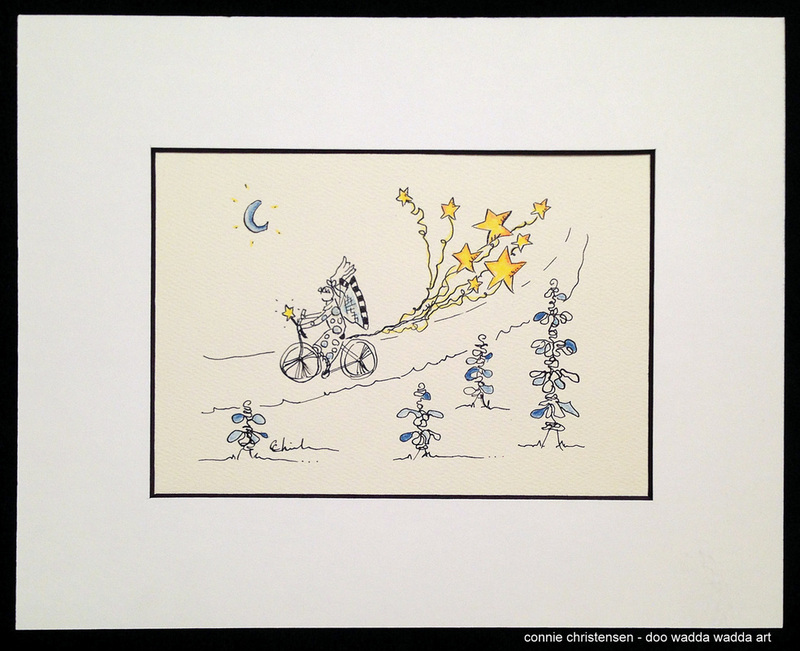 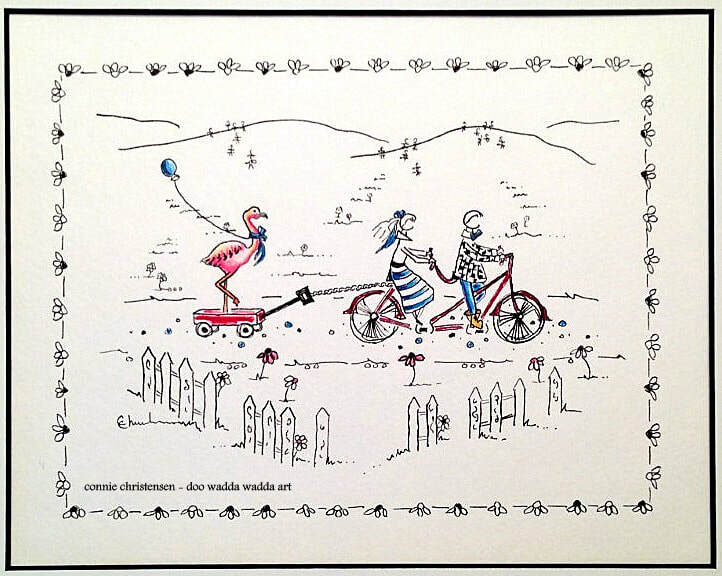 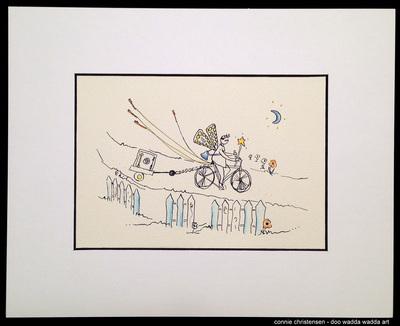 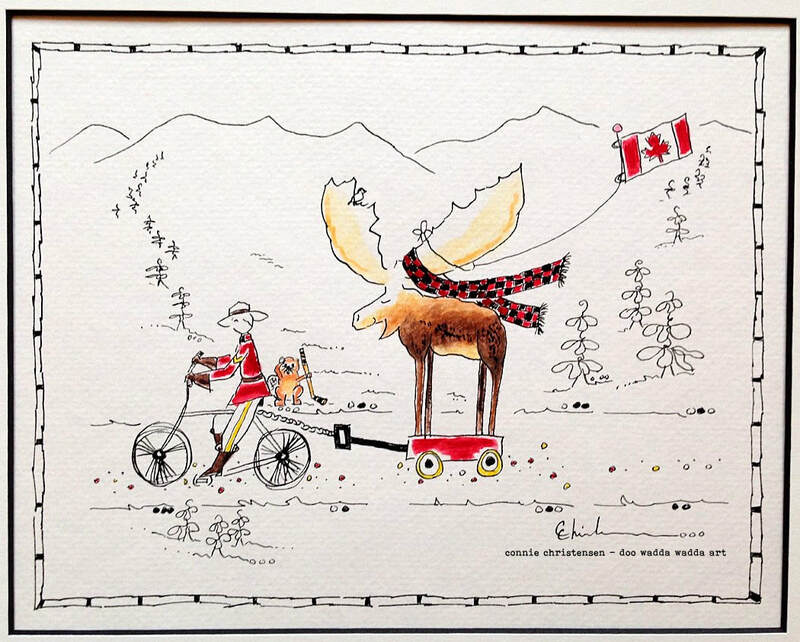 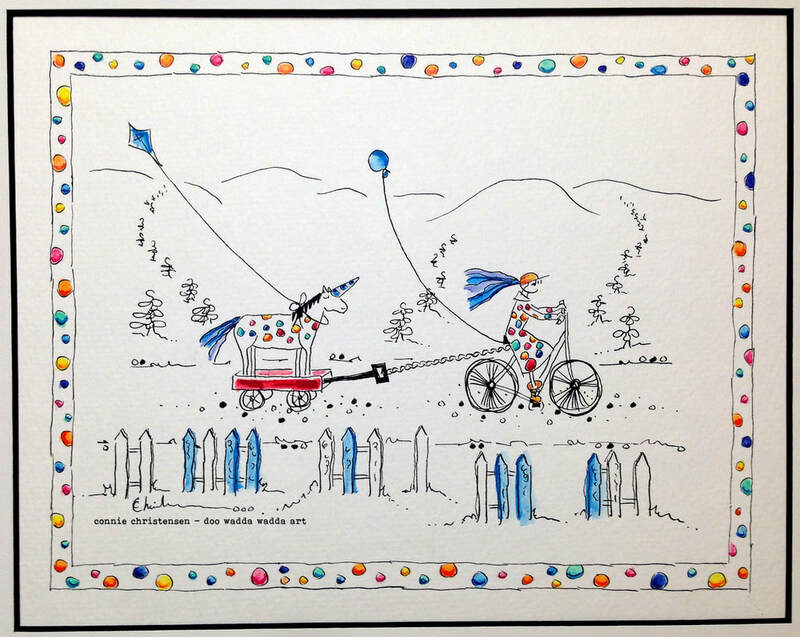 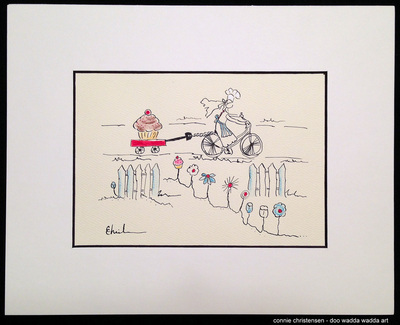 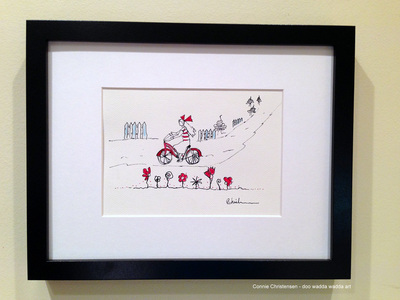 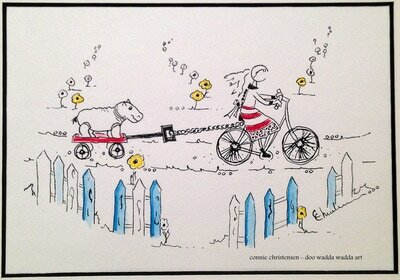 Using a fun bicycle theme, I have created a large number of small ink & W/C pieces. 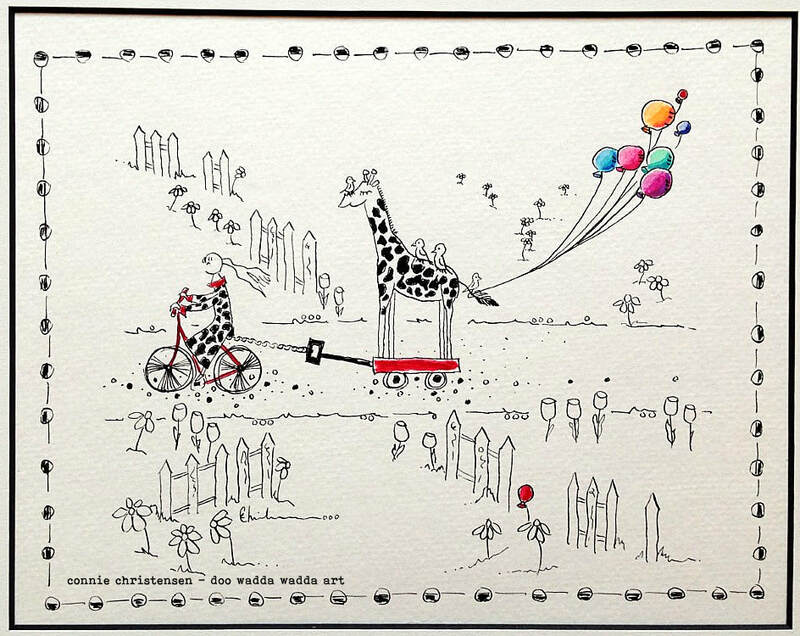 They make unique gifts for new homes, teachers, going away and Christmas or forget giving them as gifts & hang a grouping on your own walls. They're a little bit retro and a whole lot of fun. 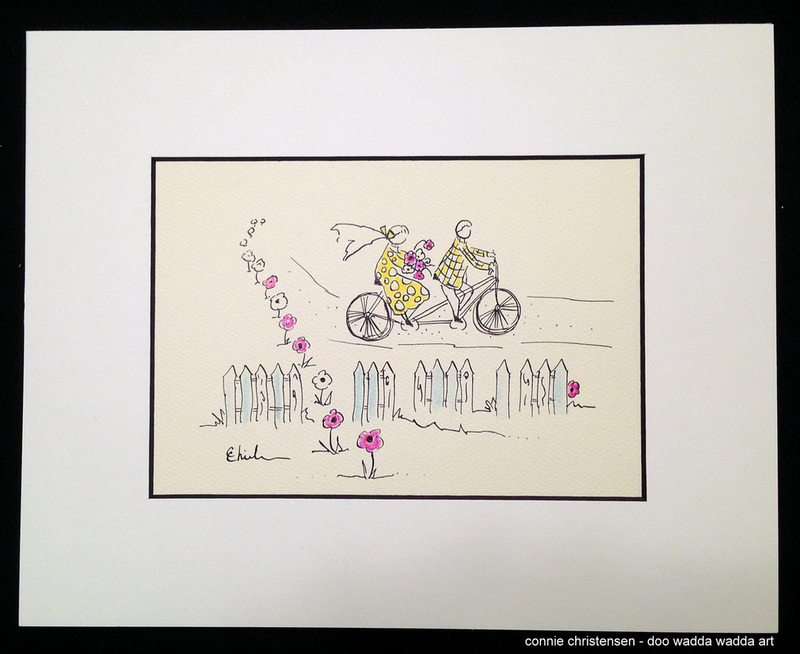 The new 8x10 original pieces come with an 11x14 mat with a black core ready for you chosen frame. 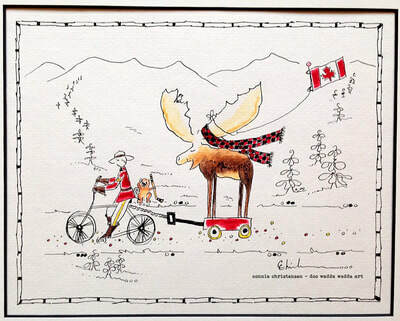 They are $135 Cdn ea + shipping. 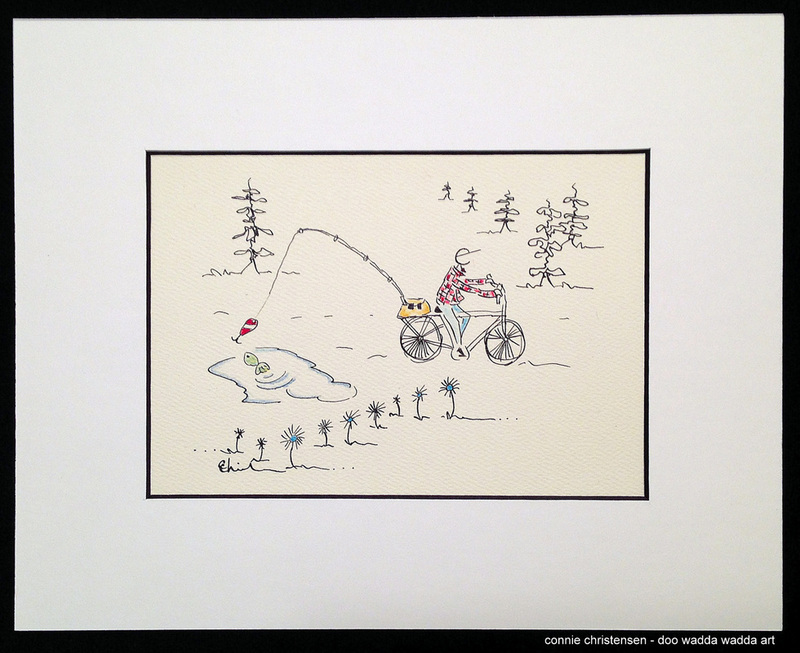 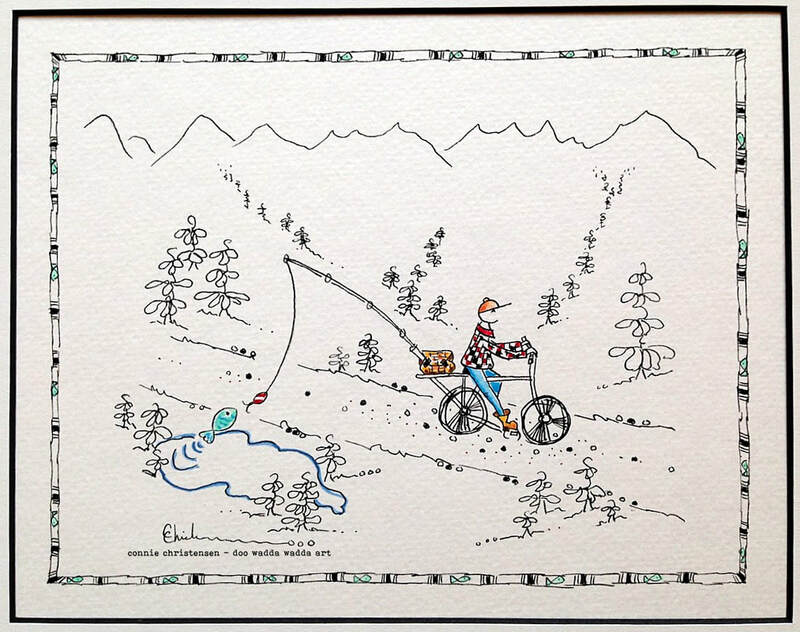 I have many original pieces so choose from the few shown here or email me and let me know more specifics about what you might like. 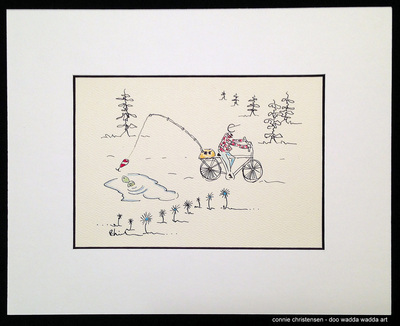 Most recent paintings are available in my Etsy. 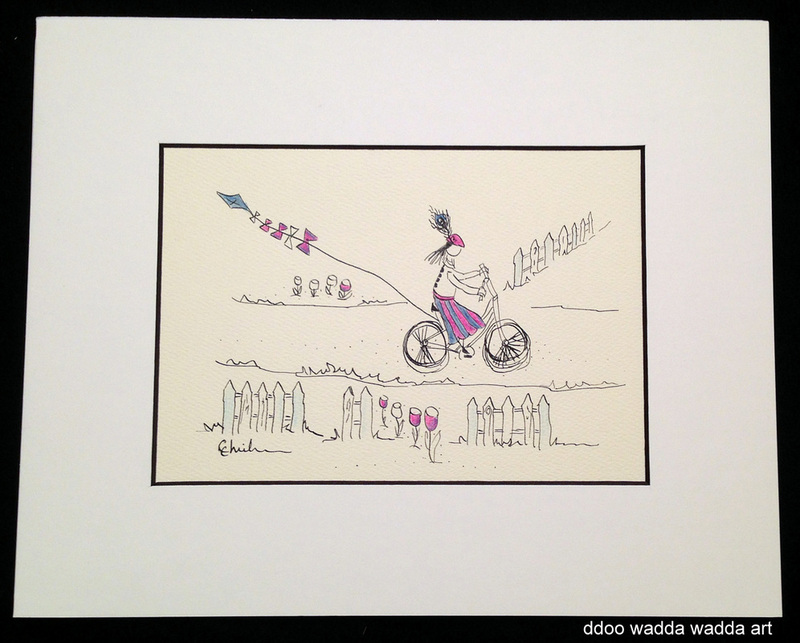 Click on the pink button below.